Positive: Compact size; excellent display; light weight. Negative: Weak hardware. Model: The Medion Akoya E2215T is a 11.6-inch 2-in-1 convertible. It is adequately compact to be a tablet whilst having enough performance to fulfil the criteria of a subnotebook. From its appearance, it is obvious that the Akoya is largely made of plastic. The top and bottom of the device is silver in color. Its interior on the other hand is black in color. With the 360-degree hinge system, the device can be transformed into multiple forms (i.e. tablet, tent or notebook modes) according to the preference of users. However, the touchscreen capability is only available in tablet mode. Weighing at 1.1 kg, this convertible is an ideal device to be carried about. 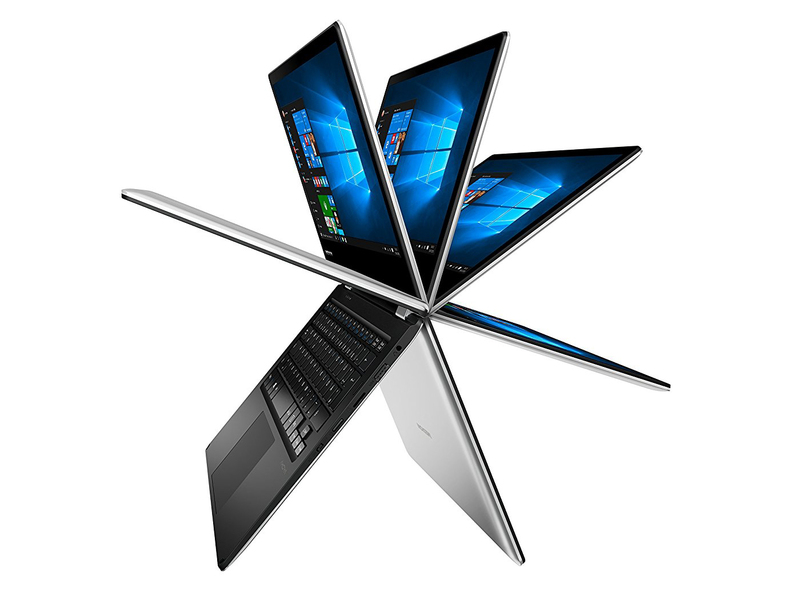 It is also lighter than its rivals such as the HP Pavilion 11 and the Asus Transformer Book Flip. It is powered by the Intel Atom x5-Z8350 processor with 1.44 GHz clock frequency. With these specs, it is perfect for surfing the web or watching videos. It may not be appropriate for running intensive software, yet it is generally suitable for reading and editing MS Office documents. To conform to its slim factor, the choice of connectivity appears minimal as it is integrated with a mini HDMI jack and a MicroSD slot. The built in storage is relatively limited at 32 GB. However, you can expand the storage capacity with a microSD card (up to 256 GB). There are also 2 USB ports for added connectivity. The keyboard attached to the convertible is somewhat cramped. This comes to no surprise considering its compact form. Extended typing may require an external keyboard as the compact keyboard is not comfortable enough. Nevertheless, it comes with a clickpad, which is spacious and sensitive enough for proper usage. The 11.6-inch display has a Full HD resolution (1920 x 1080 pixels at 190 PPI) as well as IPS technology. Thus, the display can be viewed from various angles with clarity. Usage outdoors is reasonable provided that the sun is not too bright. Wireless connectivity includes both Wifi and Bluetooth. Overall, this is a solid device for those who do not need high requirements. It is also good value for money as it functions well as a tablet and a notebook. Students will find the Akoya appealing as it is lightweight and powerful enough for presentations and word processing. Furthermore, it is ideal for performing everyday tasks such as web surfing and video streaming. Nevertheless, those who require performance for more demanding tasks should opt for higher end laptops.